Once again it's WTO rules and once again the headbangers are still incapable of learning. They have banded together in the warped belief that a no deal Brexit scenario will not lead to increased non-tariff barriers to trade between the EU and UK. Nothing could be further from the truth. Their groupthink and collective dishonesty is now at the stage of potentially doing serious harm to the country and it is now imperative to stop them, challenge their assumptions and make them justify their ignorant claims. The latest in the very long stream of misinformation from hardliner Tories comes from Owen Paterson (intriguingly once a close associate of Richard North, and so will no doubt know better privately), who argues that what he calls "arbitrary" new barriers to trade cannot be erected the day we leave in the event of a no deal. Mr Paterson explained that any future sanitary and phytosanitary checks would be "contrary" to WTO rules, justifying this by pointing out that "our lamb and our cheese and our beef" would be of the same trading standard as they were the day before. All good lies contain a grain of truth and Paterson's comments are no exception to this rule. Everything he has argued sounds accurate on paper, and it is made to look even more impressive when these circulated myths are afforded a certain legitimacy by apparently credible academics like David Collins. Here we have a lot to unpack because we must grasp not only concepts but also establish some legal ground. The rebuttal to this deceptive bile really comprises two elements, one of which a matter of WTO agreements, the other an issue of EU law. What is first important to note is that there is no WTO rule which says that members must impose border checks on one another. This in the eyes of a certain type of Brexiteer is gold dust because it implies that customs controls and SPS measures are unnecessary. But this fact is not actually the point. The point, in fact, is in honouring WTO commitments, most especially concerning equal treatment. Theoretically the UK could abandon all checks on all goods so long as it applied this standard to all of its trading partners. Enter most favoured nation (MFN). As this blog has explained previously, MFN essentially means that one must treat one's trading partners equally - with some precise exceptions. The exceptions, outlined in GATT Article 24, pertain to the formation of some form of free trade area, be it FTA or customs union. But I digress. What is and isn't legally acceptable post-Brexit in large part weighs upon whether or not the principle of equal treatment has been unreasonably breached. In many cases unlawful discrimination is clear, in others things are rather trickier. "Suppose the UK and EU trade on WTO terms after Brexit. Suppose American apples arriving in the UK at an English port have to go through controls, but Irish apples crossing the border into Northern Ireland (also the UK) do not. Then the US could complain that its apples were discriminated against. They weren’t given equal treatment with Irish apples when they entered the UK." In the case of Brexit, the EU could wave away any need for a border with the UK if it applied this to other third countries. The reverse is also true, but there are problems. Firstly, the EU would be discriminating unfairly in favour of the UK when compared with its other third country trading partners. Secondly, it would pose an enormous risk to public health, regardless of existing regulatory harmonisation. The UK would leave information sharing systems like the Union Customs Code and Rapid Alert System, which monitor criminal activity and spread awareness of any malpractice. Sometimes things go wrong and EU citizens would find themselves exposed to the aftereffects of counterfeiting or human error. 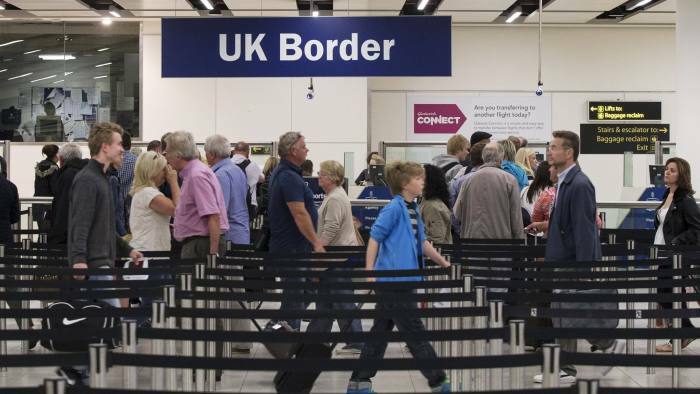 Desperate calls to abolish border checks unilaterally in the absence of a deal do not seem to recognise the importance of checks in the first place. There is no no-checks paradise in this life. The things we take for granted every day in our lives, from the wheels on our train carriage to the efficiency of our microwaves, are taken for granted purely because they are checked sufficiently enough for us not to be blighted by problems with them. What is crucial to remember here is that if the UK were to leave with no deal in March 2019, it would become overnight a third country, and thus no longer a community member. All the current political obligations, excrescences and trading benefits would cease to apply. This important transition in status is what is oft overlooked by the headbangers, who think that we can simply walk away with EU membership if and when it suited us. Becoming a third country necessitates facing up to established third country protocols. Countering this point, the clique of Tory Brexiters - in arms with David Collins, their newfound expert friend - point to the WTO's TBT and SPS agreements, which, they contend, prohibit the implementation of new or arbitrary checks at the point of the border. But this again overlooks the effect of becoming a third country. The 'new' checks fall in line with our 'new' status. Thus they are permissible. The re-imposition of checks on the UK as a community member would be a whole different story, because this would not have followed our acquiring of a new third country status. The EU is able to shield its internal market with customs and SPS procedures in the event of a no deal Brexit and will not be blocked by its WTO commitments. We ought to remember that there while there is a system in place for dispute resolution, there are no WTO police officers. 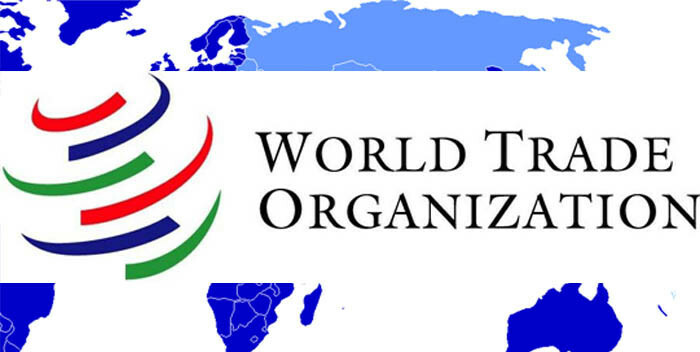 The WTO is a member-based organisation, and if members conclude that unfairness is taking place they are able to take the necessary action to eradicate it. It is here where we see why the WTO has been broadly successful over the past two decades: innate balances based on pre-negotiated member commitments. "Members shall ensure that their sanitary and phytosanitary measures do not arbitrarily or unjustifiably discriminate between Members where identical or similar conditions prevail, including between their own territory and that of other Members. Sanitary and phytosanitary measures shall not be applied in a manner which would constitute a disguised restriction on international trade." I have highlighted the phrase 'discriminate between members' because it supports the point I have made about the UK's acquisition of third country status. In the event of the EU imposing SPS checks on the UK, no unjust discrimination would take place. We would simply fall in line with what already exists. And what already exists is designed in such a way to allow the EU to protect the integrity of its market, as any WTO member is perfectly entitled to do. What astonishes me about all of this is that certain Leavers just assume the EU would rather treat us preferably. This will not happen. Paterson's second point, about the UK retaining a symmetrical system of regulation, is also not correct. He argues that since our standards are the same, we can walk on through the door and expect to encounter no friction. This assumption is again based on the assumption that all a third country needs in order to trade frictionlessly with the EU is regulatory harmonisation. This is a fallacy. For third countries, regulatory requirements must first be met, and secondly such countries must prove that they have met them. Third countries are by definition not party to Union law and so the EU does not have any legal jurisdiction in their internal affairs. Third countries must therefore prove that they have met the relevant regulatory standards at the point of the border, in a marked shift in enforcement regime. It is all well and good saying: 'we have met your standards', but the proof is always in the pudding. The short of all this is that matching regulations is only the first major step. To argue that reciprocity of law and regulations grants us a green light into the internal market is to deceive. In the case of lamb, beef and cheese, the EU has a strict body of rules which facilitate and inform the necessary SPS measures which must be carried out before consumption can occur within its territory. Food of animal origin is a particularly nasty beast because there are several layers of controls which are designed to maximise any defence of public health. Regulatory requirements actually begin far in advance of an animal being slaughtered, with strict rules governing the use of animal feed and rearing practices, as well as the appropriate medicinal and veterinary devices used on animals. In the event of a no deal scenario, the UK would need to re-qualify for exporting such products by appearing on approved lists of third country exporters. Then, warehouses and other agricultural establishments need to be licensed. This layer of controls involves the EU's FVO inspectors checking premises, veterinary procedures, postmortem protocols, slaughtering equipment and pesticides. No stones are left unturned. Certification, which is necessary for export to begin, can only be afforded when officials are happy with results. Once approval for export is granted, the UK can begin to sell its animals and animal products into the EU's market. But this does not mean the checks are over. At the border, the products will be streamlined through Border Inspection Posts (BIPs), where consignments are checked in accordance with track record and information sharing. The percentage of a consignment checked can vary greatly. We can expect up to 50% of a consignment to be checked by officials on bad days. But I can't put my finger on an exact inspection schedule. And so this is what faces British exports of animals and products of animal origin on March 30th 2019 if Owen Paterson and his cronies are to get their way. My only assumption is that their lying is deliberate and that they are not as naive as they let on. This is partly why I have not been so critical of May's negotiated withdrawal agreement as others have. I fear a scenario in which its failure leads to Paterson et all getting their dream Brexit into the statute book with absolutely no understanding of its ramifications. This weekend I was fortunate enough to be able to visit the beautiful city of Prague with friends ahead of my 23rd birthday (tomorrow). This was my first time in the Czech Republic and I was pleased to find myself in an hospitable country with enjoyable nightlife and friendly locals. If you get a chance to go then I must recommend in particular St. Vitus Cathedral, which sits next to Prague's castle and overlooks most of the city. It is architecture of astonishing beauty. The river Vltava, winding and picturesque, is also well worth any tourists's time. As ever with these continental getaways I was afforded a useful opportunity to ponder the free movement issue and reflect on what Brexit consequences could mean for me. Travel is sobering in that respect and reminds me not take anything I currently have for granted. It certainly helps to drive home the reciprocity aspect to free movement, which, if I may contend, was not driven home hard enough during the referendum campaign. One of my failures over the past couple of years has been to subconsciously pander to hardliner rhetoric on free movement. I have not been guilty of this when discussing the other three fundamental freedoms so I perhaps have some reason to be disappointed with myself. If one looks at how the issue has been discussed, one notices a lot of talk of 'putting up with' free movement or 'conceding' it through softer Brexit options. The perspective taken on it has been one of a glass half empty rather than glass half full, and this I feel I have not sufficiently countered or challenged. The central premise to being a soft Leaver is to recognise that not only do European 'systems' make a harder Brexit less plausible, they can also be worth protecting when they are not the exclusive property of EU membership. In other words, taking away what aids us may not in the end be such a bad thing. What separates us from the hardliners is a recognition that free movement is largely a good thing and if I could go back and re-make any case for a soft exit then standing up for free movement a little more defiantly would have been somewhat preferable. My mentality for the last couple of years was that if I got to grips with some of the complexities behind modern trade I might be better equipped at making the arguments. I have been effective to a small extent but in focusing primarily on trade (and thus the free movement of capital, services and goods) I forgot to make the case for safeguarding the free movement of people. I regret this and in hindsight feel I should have done a better job of not pandering to the lopsidedness of discourse by virtue of my inaction. As I have argued here repeatedly, language matters. Especially in politics. 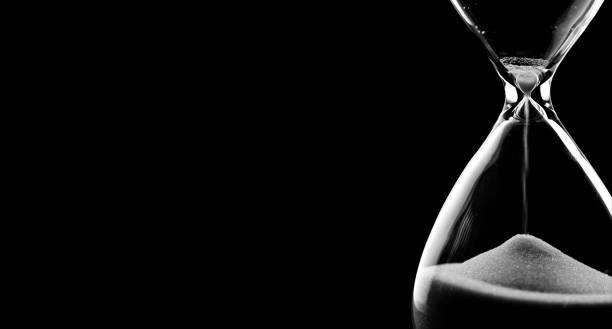 Any political issue can be framed in multiple ways if we care enough to examine consequences beyond what is immediately obvious. Free movement may be free movement for EU citizens but the reciprocal elements make it an opportunity just as much as a constraint on domestic policy construction. Free movement in the eyes of a British traveller or worker undoubtedly expands horizons. And my fear now is that it is likely too late to fully appreciate things like this. Of course, it is often argued that free movement is a meaningless right only really reaped by the minority of people in a position to benefit. This may well be true. People have family and professional commitments, as well as health issues which prevent any long-term uprooting. But what is missed here, I feel, is that the four freedoms which lay the groundwork of the single market are principles just as much as they are rights. People are, among other things, economic units, and so their ability to move in tandem with other economic units is of paramount importance. Beyond this, another interesting point about free movement is its bifurcation with EU membership. This we know came about back in 1994, when it became possible to detach the four freedoms from membership of the EU. Curiously, direction of travel has been one way and countries outside the sphere of the EU have only moved towards it. Finland, much like the UK, abandoned Efta for the EU. No country has hopped in the reverse direction. This I feel may have something to do with a feeling of strength in numbers or perhaps a perception of becoming a vassal-like, rule taker. But the point I make shouldn't be discarded. 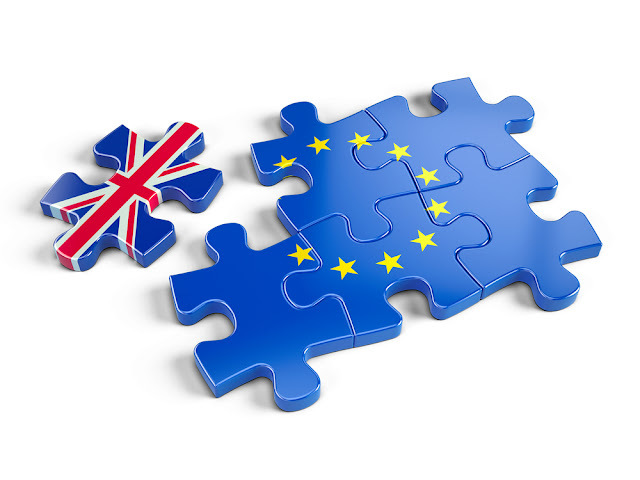 With the ratification of the EEA Agreement, clearer lines were drawn between the single market and the EU, or perhaps (to put it another way) the baby and the bathwater. The EEA is not perfect and has its institutional downsides, but what it manages in some part to do, intellectually speaking, is undermine some of the case for EU membership. It took the best of what the EU had to offer and render it up for grabs for countries less happy with the political baggage which comes with membership. Most pro-EU figures I know who are invested in the Brexit debate, be it trade wonks, academics or journalists, typically argue that the four freedoms are at the forefront of the case for EU membership. They often claim that the best thing about membership of the EU is free movement itself and they are not wrong. I think this is why so many of them have always given me the time of day and appreciated some of the thinking behind what I have written and argued. EU and Efta/EEA are not by any means identical, but they do share important beneficial commonalities which we can work with as a basis for discussion. But the political elite decided not to score what I would consider to be an open goal and opt for a Brexit which protects something worthwhile. Instead they interpreted the Leave vote as something which revolved entirely around immigration, which it didn't, and flipped the question of EU membership into a question of free movement. And what we are looking at now is a deal which places a higher premium on ending said free movement than on anything else. So my current thinking is left at something of a crossroads. Textually impressive and considerate of the Irish border though it may be, the withdrawal agreement ends free movement and threatens the stability of supply chains. I have stated that I can reluctantly support it only on the premise that I think this is all we will get. It is this, no deal or no Brexit. I know I won't be satisfied with any option, and maybe I don't deserve to be. There are two persisting problems with being a soft Leaver. Together they form the baggage which I and other like-minded folk carry around with us. One is the EU's Customs Union, which I will address more fully in a later post, the other is some of the company we keep. Specifically the bigoted and further-Right types who have been energised somewhat by use of the nastier, more populist rhetoric which has laced much of the discourse surrounding Brexit. For me personally the latter of these two issues has been a consistent weight on my shoulders for quite a long period of time and in some respects I have not done enough to distance myself from it. When I first became interested in the politics of Brexit I was a newly-anointed member of the UK Independence Party, at the stage very much in the Farage corner of debate, captivated by his (undoubted) charisma and positive vision for the outlook of an independent UK. I don't look back on membership of UKIP fondly. The reason I rarely talk about it or acknowledge it is because I am ashamed of it and wish I had pursued participation in Brexit politics through some other channel. The party itself was structured appallingly and became increasingly inept at internal communication as it grew. Any ground campaigning which took place was slapdash, uncomfortable to be apart of and seldom particularly fruitful. Even in the South East, where I live. Though lots of its members were more moderate than portrayed in the media, being that they were largely disgruntled former Labour and Tory types, many were more unsavoury round the edges in terms of holding more xenophobic opinions and I regret not challenging that more when I saw it. The sticky truth is that some Brexit voters have simply pulled a lever which they continue to think should result in strict immigration policy on the basis that they do not like foreigners. Whichever way one cuts the issue, this uncomfortable truth does not go away. Of course, at one point I too favoured pulling in the numbers. I forwarded what I thought was a sound economic case. The argument being: let's pull up the drawbridge and we can protect wages. But the honest truth is that the evidence supporting the claim that immigration reduces wages is spotty at best. On the face of things it is quite incredible that such a widespread claim is so thinly supported by scientific research. And once I clocked this, my outlook swiftly began to change. Colour of skin or place of birth never moved me. I grew up in an ethnically mixed town parked in the more urban north of Kent. I attended a very diverse partially selective bilateral school which allowed me to mix with individuals from a range of backgrounds, some of whom became (hopefully) lifelong friends and with whom I have travelled to various corners of the world. Judgement of a person is more appropriately placed upon pegs like the content of their character - a lesson I was lucky to learn at a young age. The reason for the focus on immigration is because this tends to be the major tramline along which soft and hard Leavers diverge from one another. The immigration debate, more than most, is also an arena which attracts the worst sort of people. I am constantly conscious of the fact that I share a side of the ballot paper with people I find unpleasant and distressing and this is a cause of discomfort. There is no remedy which makes me feel better about it. Sometimes I receive messages from people who tell me that I shouldn't remain on the same side of the fence as those who are overtly xenophobic. I sympathise with the view but I have always responded by arguing that a) unsavoury characters exist in both camps, b) I believe I am well placed to be a more thoughtful and moderate voice this way and c) it only distracts from the question of whether I support EU membership, which has to be the ultimate arbiter of partisanship. What would Remainers prefer to hear from Leave voices? Well reasoned arguments based on knowledge and research? Or would they prefer for one side to be hollowed out to the extent that they may as well be conversing with brick walls? It seems to me that civilised, intelligent discourse from either side benefits us all. As in any debate, in any arena of politics. Drowning out the bigots matters to me, and if it matters to Leavers then it should matter to Remainers also. "It will no longer be the case that EU nationals, regardless of the skills or experience they have to offer, can jump the queue ahead of engineers from Sydney or software developers from Delhi." This is an immensely upsetting statement which is not only needlessly inflammatory, it is also logically incoherent. I am not best placed to assess the impact that comments like this have on individuals as I am English and my family are English too. We have no immediate familial ties to the continent. I can only try to put myself in the shoes of people who do and who are negatively affected by careless political discourse. It does not help in any way that such words are spoken by a person at the pinnacle of politics. There is a reason why politicians have speechwriters: the words politicians say matter. They have a fall-through effect on the lives of citizens, and on the political culture in which we attempt any political expression. 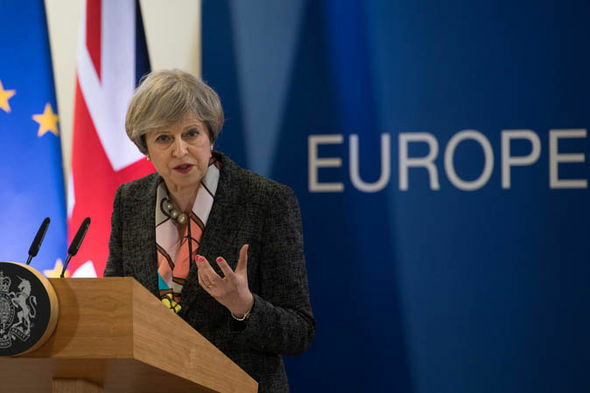 May is in a position of privilege and power and she should have known better than to (in effect) describe EU migrants as cheats and underhanded. EU migrants take advantage of rights afforded to them by the political structures built over them. British citizens abroad have too. Steve Bullock made the excellent counterfactual point on Twitter when he asked what the reaction would be here if EU brass made similar comments about UK expats. He makes an interesting point. What would the reaction be? I'd bet that quite a lot of the noisier hardliners would have a thing or two to say about it. But then again we should be used to Brexit ironies by now. As far as policy is concerned, the British government could at any point decide to replicate our immigration policy with the EU and apply it to third countries. Politically unpopular though it might be, it is legally and logistically possible and thus undermines any logical basis for condemnation of what is being called 'queue jumping'. If we were to create an equilibrium amongst potential migrants, theoretically speaking there would not be a queue to jump. Needless to say I am therefore compelled to condemn the language used by the Prime Minister about EU migrants. It might not mean much to anybody, and sure I will still be accused of aiding and emboldening the sort of behaviour sometimes seen on my side of the argument, but I can only set a more preferable example and criticise what I see as wrong where I see it. It's tough, though. For how long I can stomach it remains unknown.